Excess capital has dramatically changed the way the property insurance industry reacts to catastrophic weather events. The general expectation after 2017’s record catastrophe losses was that property lines would experience a dramatic market swing with some rate hardening, but, thanks to surplus capital in the marketplace, changes to the market were only minimal. The 2017 Atlantic hurricane season will be remembered for Harvey, Irma and Maria arriving in quick succession. The three storms all had unique characteristics and posed different challenges to the insurance industry. For example, Hurricane Harvey triggered unprecedented flooding in Texas after dumping up to 60 inches of rain and throwing the state’s flood mitigation principals into question. By contrast, category 5 Hurricane Irma was more of a traditional wind event. The 2018 Atlantic hurricane season has been another memorable year, being the fourth in succession where a hurricane formed prior to the official June 01 start date of the season. 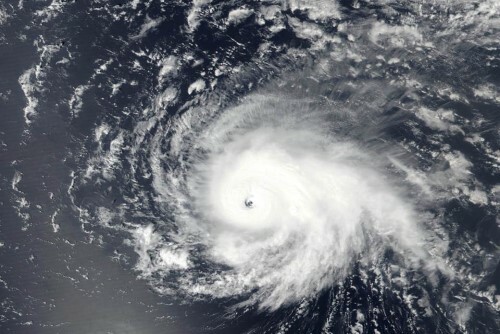 In addition, there were four named storms simultaneously active in the Atlantic for the first time since 2008 (Florence, Helene, Isaac, and Joyce). Hurricane Michael made landfall as the third most intensive hurricane in terms of pressure to ever hit the United States and Hurricane Florence brought severe flooding to the Carolinas. There are lessons to be taken from all natural catastrophe events because “no two storms are the same,” Austenfeld pointed out. With the additional 2018 hurricane activity, along with other national and global property losses, the Q3 and Q4 results for 2018 will be interesting to keep an eye on as the outlook, budget forecasting and trends for 2019 are now top of mind. Most wind catastrophe-exposed property accounts renew their policies prior to June 01 - the official start of the hurricane season to ensure coverage is in place. However, some heavy wind-exposed accounts fall into the trap of renewing policies in the middle of the hurricane season – a practice Austenfeld advises against.